Africa Mission & Beyond ministers in many impoverished countries. People often walk for long distances, sometimes days, to reach a church camp meeting. It is a great challenge for the people to have extended meetings because of the lack of food and money. 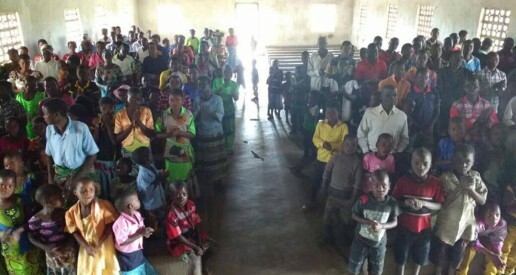 Donations enable gospel meetings to be held in third-world countries. There is minimal money sent monthly to native ministers in other countries. Many of the ministers have very little and most of their time is spent in trying to provide basic food for their families. Ministerial support enables ministers to spend their time spreading the gospel. A monthly offering of $40-$100/month will meet the basic needs for one minister and his family.